Using no fault divorce forms is one way to shorten the process of ending a marriage. These forms work best when both partners are in agreement with the terms of the divorce. Most divorces are considered no fault, meaning that one spouse does not have to prove that the other spouse was at fault for the ending of the marriage. Despite the fact that many people would like to point the finger at their husband or wife as being solely at fault for the marriage falling apart, a no fault divorce allows the process to proceed more quickly than if fault had to be proved. The divorce should be uncontested. 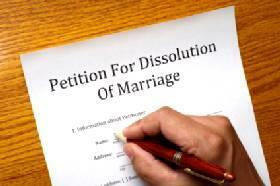 If one partner does not agree to the divorce, these do-it-yourself forms are not going to work. The details of property distribution, alimony, and child custody should be agreed upon by both partners. Without an agreement between both partners, forms offered online will be of little use. The forms must be signed by both spouses. This demonstrates to the court that both partners are in agreement to the ending of the marriage. Additionally, some states have residency requirements that must be met before no fault divorce forms can be filed within that state. Be sure to find out the requirements of your state before assuming that you can use these forms in lieu of paying an attorney to create these documents for you. Here is a brief list of some of the websites offering no fault divorce paperwork. While some of the websites offer kits that include a variety of forms, others provide specific forms catered to the needs of the customer. Before obtaining forms from a particular website, ensure the forms are valid within the state in which you reside. You should also make sure the forms will be sent in the format you want. For example, while some websites will send paper versions of the forms via postal mail, others will e-mail the documents or provide you with software that allows you to customize the documents and print them yourself. Expect to pay not only for the divorce forms, but also to pay the various court fees that will be required in order to file the documents. While this process is generally much less expensive than relying on an attorney to handle all of the paperwork on your behalf, using no fault forms can still cost hundreds of dollars when all expenses are taken into consideration. The do-it-yourself route is not appropriate for all couples, even when the divorce is a no-fault divorce. Couples with minor children, substantial assets, a variety of debts, or other situations may opt to directly obtain paperwork created by an attorney or to allow an attorney to handle the entire process for them. Although many couples can get through the divorce process largely relying on do-it-yourself forms, working with a competent divorce attorney can certainly have benefits for some couples. In particular, couples who are intimidated by the prospect of handling the divorce themselves, or couples who are simply unable to agree -or even to speak to each other- may be better served by dealing with an attorney.